A real 2 Inch Solar Panel Header is 2 inches inside, not outside. Jump right to the bottom of this post if you just want the proof! We have been over flow rates on this blog ad nauseam, but for good reason. 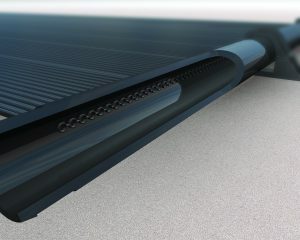 Flow is critical to solar pool heating performance. One of the most important factors affecting flow rates in solar panels is the header pipe and plumbing size. One of our competitors is out there obfuscating the truth. Scrap that – they are flat out lying to consumers, telling them that their panel headers are the same size as ours. Here’s the truth, and how they are kinda’ getting away with it (until now). Our solar panels are made in Florida. In the United States, plastic plumbing and pipes use what’s called NPS, or Nominal Pipe Size. The size of a pipe is described in approximate figures as the inside diameter of the hole in the pipe. 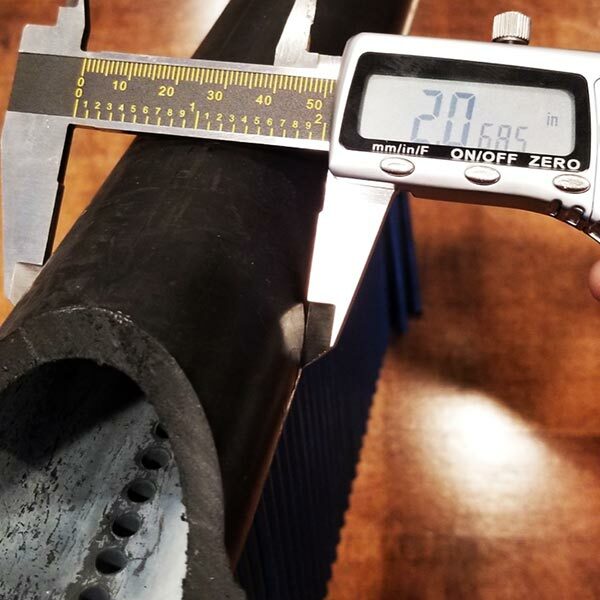 A 2-inch pipe means there is a 2-inch hole (bore) through the pipe. The manufacture of the competitor’s product we are talking about is based overseas, where metric sizes are used. But there is another distinction that is important. Metric sized “pipe” internationally is measured by the outside diameter. The wall thickness of the given pipe standard dictates the inside diameter. So a 2-inch pipe measures 2 inches on the outside diameter, but the inside diameter is much less! The competitors’ sales reps will tell you that their “header pipes” are 2 inches. What the manufacturer actually publishes on its spec sheet is that the “manifold” is 2 inches. 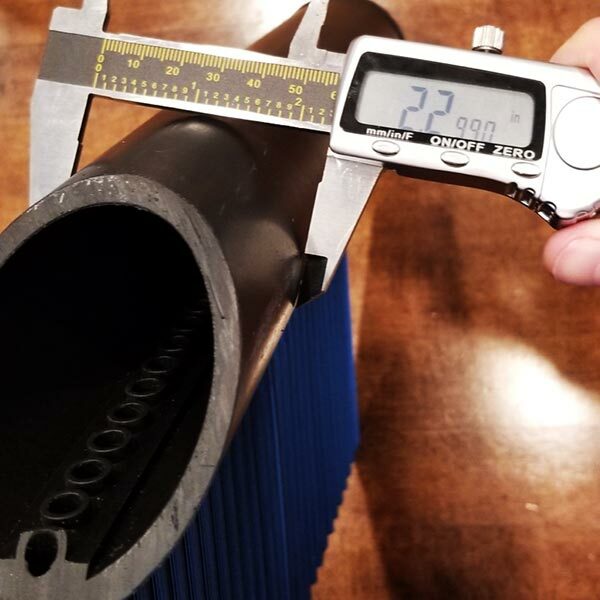 The manufacturer is on a slippery slope because they are using this marketing collateral in the US where pipe is measured based on inside diameter. The dealer’s sales reps are flat our lying about using 2-inch pipe. Neither their panel headers nor the pipe they use are 2 inches – not by US standards. The outside of their header manifold is 2 inches, which is apples-and-oranges! 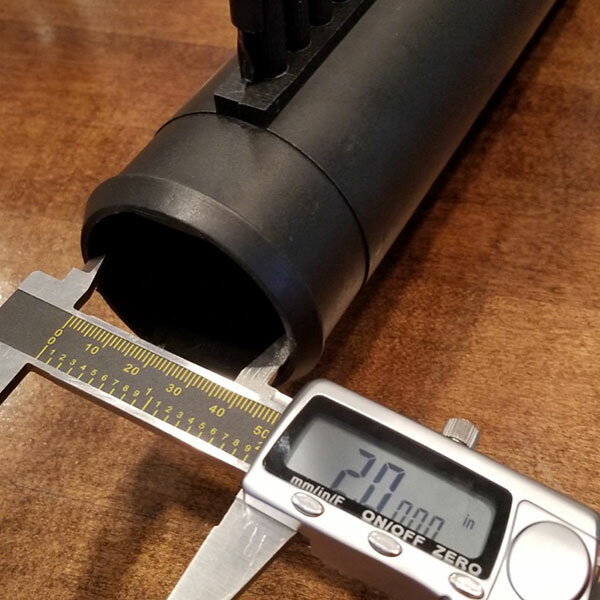 Not only are they telling consumers that they use 2-inch manifolds, but that they use 2-inch “plumbing.” That’s pretty slick because there is no standard sizing for “plumbing.” They use 1-1/2″ PVC pipe (and valves), plain and simple. The outside of the “plumbing” may be about 2-inches, but this is not the same as 2-inch pipe (inside diameter). Don’t be fooled. Sadly, some have in our experience. Clients we have lost to this dealer later tell us that they understand why 2-inch pipe is important, but “the other dealer” told them they also use 2-inch. Imagine how mad they are when they find out the truth! This deception goes beyond the normal sales fluff we see every day. Ask yourself if you can trust the sales rep that spews this kind of misinformation. We have samples of their panels and ours. Get out your measuring tape. This is not a hard thing to prove out. 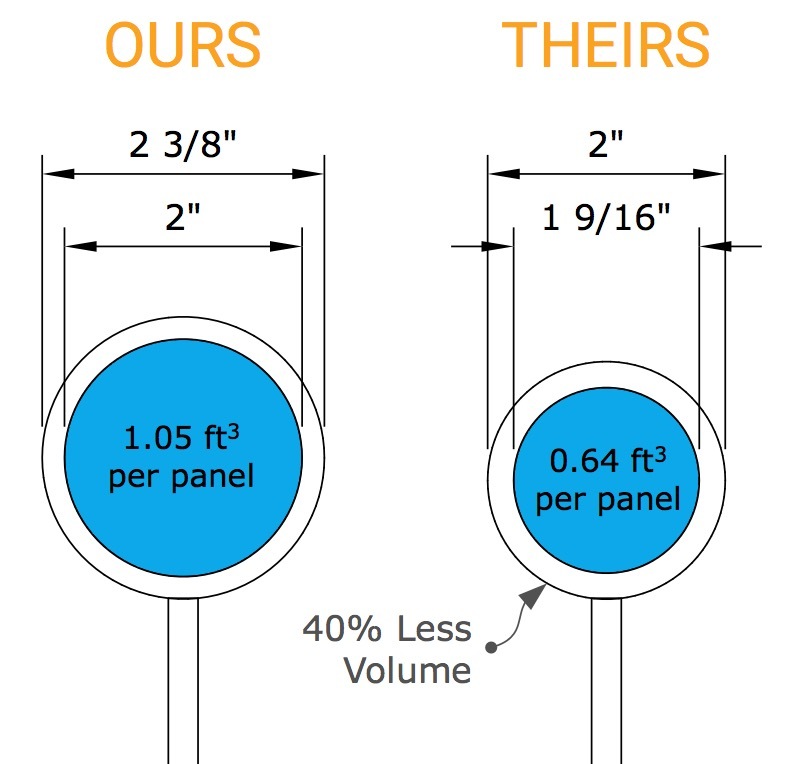 Here is how our panels measure up (figure approximate, rounded to the nearest 1/16th of an inch). It might not seem like a big difference, but remember that the area of a circle is π x r². That means our header is about 164% the size of theirs. 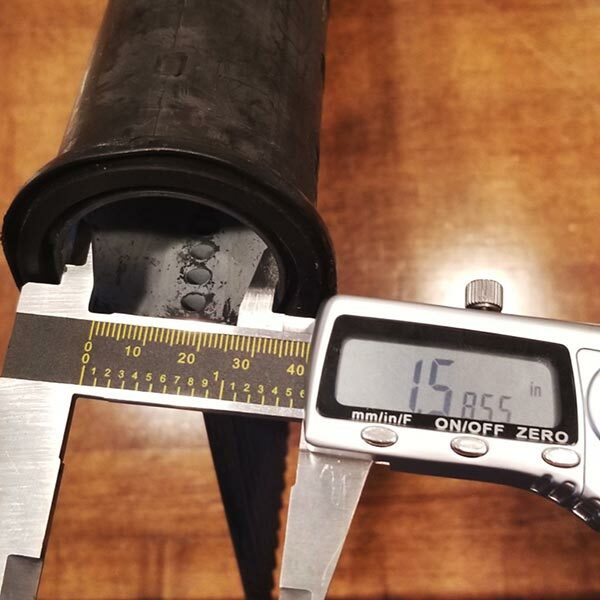 More importantly, friction loss is exponential as pipe size decreases. Because I am a total geek, I actually own a micrometer. Here are the actual measurements taken from real panel samples of each brand. Their brand is actually slightly larger than 2 inches outside diameter. But the inside diameter that counts doesn’t measure up. There is no denying that our header pipe diameter is much bigger, which leads to much better flow rate.